So magnificent the Canadians put it on their 20-dollar bill, the view of this azure lake nestled in the Valley of the Ten Peaks will take your breath away. One of the most beautiful lakes in the world, Moraine Lake has appeared in countless photographs and postcards and has even graced the Canadian 20-dollar bill. Hence the nickname "Twenty Dollar View", when in reality, this vista of snow-topped mountains, lush larch forest and startlingly blue lake is simply priceless. Come to Moraine Lake in summer, as heavy snow makes it inaccessible from October to May. 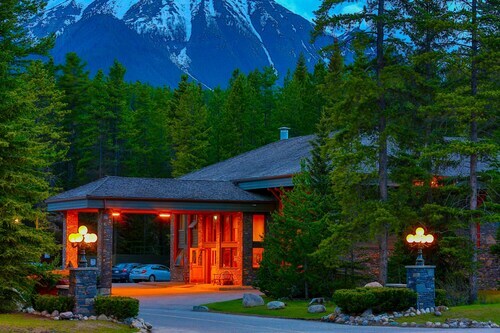 It's 14 kilometres from Lake Louise, or, if you're coming from Banff, one hour's drive west. There is a car park, but finding a space can be a struggle, especially in the middle of the day. The observation platform, from which you'll get those famous views, is just 300 metres up a rocky hill from the car park. Once you're here, take your time and enjoy this singular view. Get some snaps of Mount Temple, which, at 3,540 metres high, is the third-highest peak in the Canadian Rockies. Admire the impossibly turquoise water as it reflects the mountains above. The blue colour, caused by minerals in glacial melt water, intensifies as the sun rises, reaching its zenith at noon. If you arrive at this time you may have a hard time getting past the crowds. Your best bet is to get in position before 10 a.m. and simply watch as the lake brightens. Or rent a canoe and view the water up close. The lake is surrounded by hiking trails, but, as Moraine Lake is known to be home to bears, walking in the area can be dangerous. Hike in groups of at least four and call Parks Canada for a safety update before you head off. Why not consider purchasing a Lake Louise & Moraine Lake Tour and a Full-Day Trip to Yoho National Park & Moraine Lake? 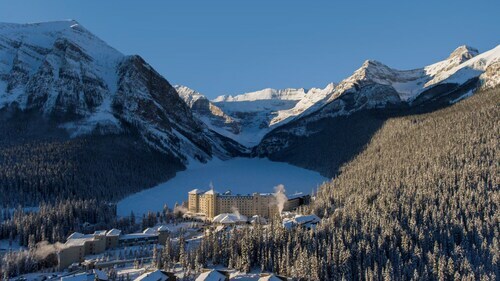 If you're seeking more activities, check out our Lake Louise things to do page. 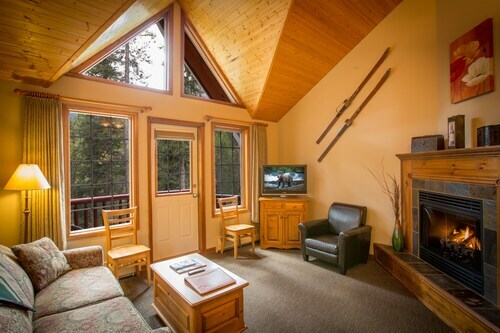 Enjoy summer and winter sports at this mountain resort set amid the spectacular natural beauty of Banff National Park. You may even spot a grizzly bear. Ride high above the rugged landscapes of Banff National Park, look for grizzly bears and go hiking amid pristine mountain countryside. 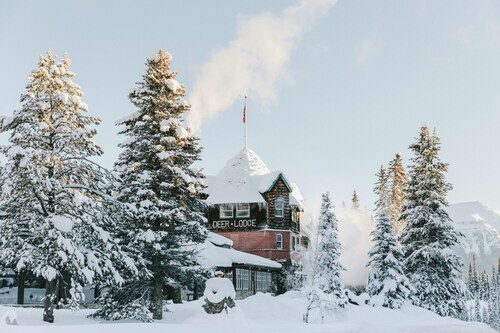 The views of this hotel are simply breathtaking! Will certainly come again. I went in many hotel and this one is one of my best pick up i had ! I ll go back at this place anytime again !!! No cell phone or wifi, It was great to have the quite and peaceful atmosphere but my wife was concerned about the unavailable service and potential of our family not being able to reach us in the event of an emergency. No breakfast options. The television signal or tv was third world. The staff were very accommodating when we needed to stay an additional night due to the weather conditions . The ambient atmosphere if an ancient hotel. 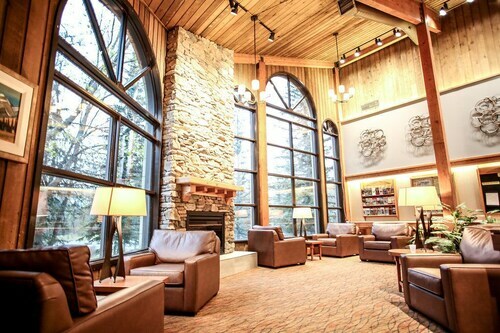 Cosy reading room with a fire place. 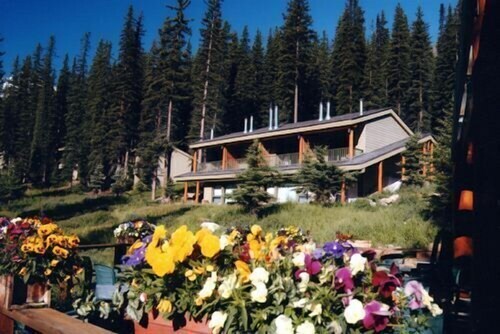 Great location, very close to Lake Louise and Moraine Lake. 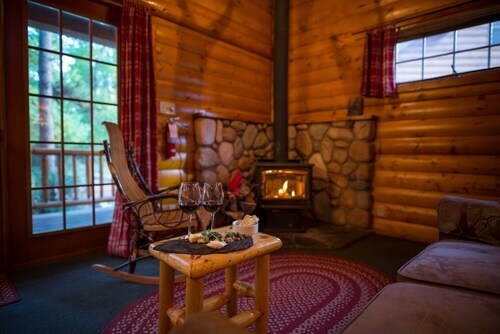 Cozy cabin and very helpful staff that answered all of our questions.